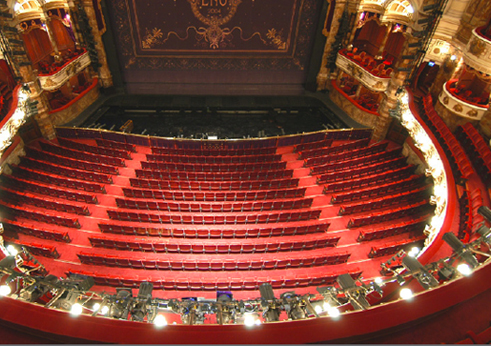 While with RHWL Partnership, David Wright was Design Team Leader for the £30m redevelopment of the London Coliseum for English National Opera. 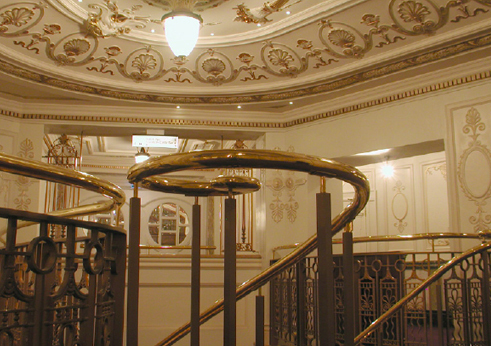 The project achieved the complete restoration of this 100-year old Grade 2* listed building, designed by Frank Matcham for theatre impresario Oswald Stoll. 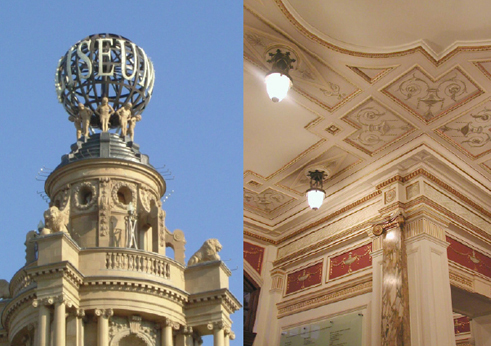 The facade on St Martin’s Lane was restored to its original appearance, including considerable rebuilding of the buff terracotta facing and reinstatement of lost features such as statuary, torchere lights and the unique revolving globe carrying the theatre’s name. A new foyer for the Balcony patrons has been constructed above the original front-of-house. 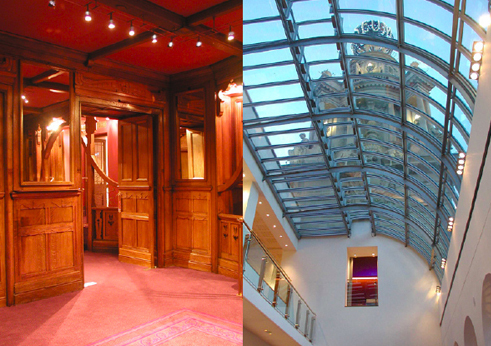 The flat roof behind the front facade was removed and replaced with a barrelled glass roof encompassing the new foyer level and allowing upward views of the restored tower. 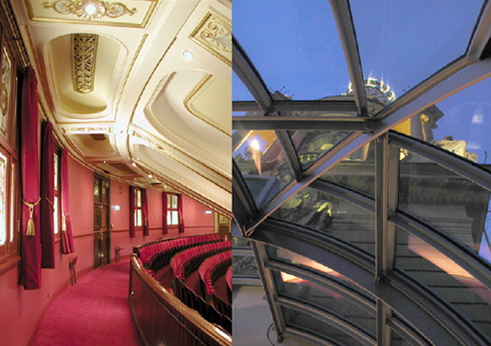 Part of the glass roof encloses a belvedere with views down to Trafalgar Square. In the existing foyers, circulation has been improved and new bars inserted. Additional corporate entertainment and education spaces have been created and existing ones refurbished. Toilet provision has been more than doubled. The project also included the refurbishment of the auditorium, including new seating, house curtains and box drapes, technical and house lighting and introduction of much-needed air conditioning. 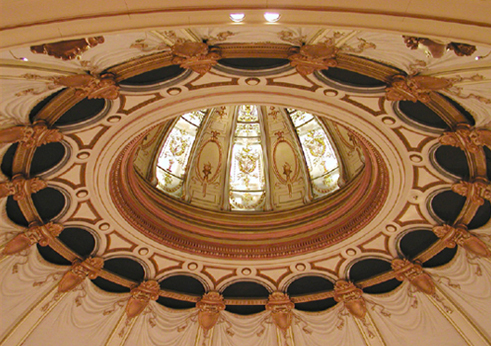 The main auditorium roof was also partly renewed, and the splendid glazed cupola restored and lit up. Backstage, work included enhancement of performers’ facilities, creation of new offices and much-improved disabled access, via a modern, spacious stage door.